As mentioned in the framework the proceeds of the sustainability bond will be allocated in priority to Flanders’ expenditures of the previous year and thereafter to Flanders’ expenditures of the current year. The eligible expenditures will be selected depending on Flanders’ budgetary situation. If there is a balanced budget in ESA terms in Year X -1, we will only select ESA expenditures excluded from the financial balance related to the consolidated public debt. An ESA balanced budget indicates that there are sufficient ESA revenues to finance the ESA expenditures. If Flanders has an unbalanced budget in ESA terms, we will select ESA expenditures excluded from the financial balance related to the consolidated public debt but also ESA expenditures included in the financial balance. 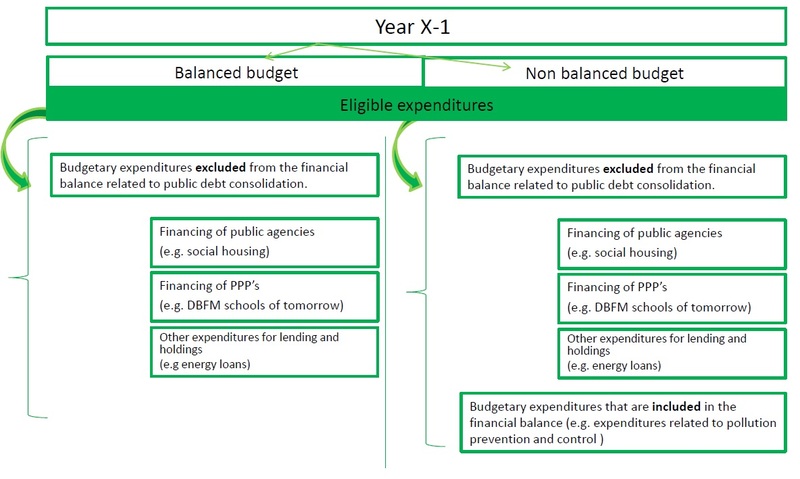 An unbalanced budget indicates that Flanders received unsufficient revenues to finance the expenditures which leaves room to partially finance certain expenditures with debt. What are the expenditures out of budget? Are they also voted by the Parliament? The eligible expenditures are all budgetary expenditures but most of them are not included in the Flemish Community’s financial balance because it concerns expenditures for the financing of public agencies and PPP-projects and other expenditures for lendings and holdings. These expenditures are also voted by the Parliament. In year X the same methodology will be applied as in year X-1 until all proceeds have been fully allocated. We attempt to allocate the revenues of the bond as optimal as possible. Partially funding a project or transferring small residual amounts to the next year is not desirable. Therefore, the final projects will possibly be chosen based on their amount of funding versus the amount still to be allocated. For more information about the allocation within each category, click on the categories in the bar at the top of the page. As mentioned in the framework a dedicated Sustainability Bond committee is authorized to select the eligible expenditures and to approve the methodology of the allocation. For the first allocation the committee comprises of members of VMSW (social housing), Agion (Agency for School infrastructure, VEA ( Flemish Energy Agency) and of the department of Finance and Budget. The composition of the committee may change for future issues. The allocation report will be published as soon as available.